Victory in 1962 Asian Games remains one of the high points of Indian football. Jarnail Singh rose to the occasion in both semi-final and final. In an era where stopper-backs seldom moved up to assist the attackers, he was a glaring exception. Jarnail, arguably the greatest Indian footballer of all times, was an embodiment of versatility. Jarnail Singh Dhillon was born in 1936 in Hoshiarpur, Punjab. When he was just thirteen, Jarnail experienced the horrors of communal riots. The fires of partition were raging all around and his family had to leave Lylapur (current Faisalabad). On his way to Phagwara, the young boy went through hell. He had to sit in a truck, motionless, for over a day without food and water. His ordeal didn’t end there. The train to Phagwara which he boarded was stacked with dead bodies, floors were slippery with blood. When the boy finally reached the station in Phagwara, he couldn’t believe that he had completed the journey in one piece. It can be said that this experience in his formative years, imbibed the courage in Jarnail, for which he would go on to be known in his playing days. He had already been through hell and he didn’t need to fear anything else. When Jarnail started playing, Punjab was not considered as one of the hubs of Indian football. Mysore, Hyderabad and Kolkata were the thriving centres of the game and players from Punjab usually aspired to play at these places. Jarnail was sixteen when he began to play for Khalsa Sporting Club. In 1957, he made the dream move to Kolkata, joining Rajasthan Club. Darshan Singh, a player from Jarnail’s locality who played for Rajasthan at that time, helped Jarnail to complete his transfer. Rajasthan Club was one of the giant killers in the Kolkata circuit at that time. Bankrolled by local Marwari business families, the club brought players from all parts of India. In 1951, they finished runners-up in the Durand Cup and followed it up with another runners-up medal in the IFA Shield next season. In 1955, Rajasthan captured a historic IFA Shield title defeating Aryan in final. Jarnail’s start in Kolkata football was not smooth. 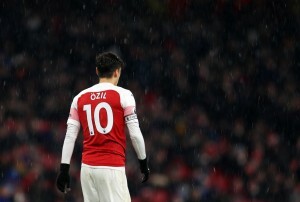 He was used as a centre-half, which was not his natural position and he struggled due to that. Kolkata was the home to the most technically gifted players in India at that time, and the crowd valued artistic football. Jarnail’s boisterous and tough tackling style was initially not appreciated by the crowd who nicknamed him “Jaguar Singh”. Despite his indifferent form, one man noticed his raw talent – Arun Sinha, the Mohun Bagan coach. Sinha realized that Jarnail was a rough diamond who can be moulded into a top-class player. Sinha paid a visit to Rajasthan club’s tent in Kolkata’s maidan area. He met Jarnail who was busy playing table tennis at that time and offered him a spot in Mohun Bagan. Jarnail didn’t think twice before accepting his offer – he was to be paid Rs. 3500 annually. In 1959, Jarnail Singh started his legendary career donning the Green & Maroon jersey – Sinha started playing him as a stopper-back. Jarnail’s first season with Mohun Bagan wasn’t good either as he failed to cope with the crowd pressure. His career could have been short lived had he not risen to the challenge in an all important Kolkata derby match that season. After that match, Jarnail never looked back. Along with Chuni Goswami, Jarnail formed one of the most memorable partnerships in Indian football. These two were diametrically opposite players in terms of style but combined well on the field. In the 60s, Mohun Bagan was an unstoppable force in India football, winning the Calcutta League six times, IFA Shield and Durand Cup four times. These two excelled for the country as well, winning Gold in Asian Games in 1962. According to veteran journalist Jaydeep Basu, Jarnail was never as technically perfect as Arun Ghosh or Nayimuddin. Instead he relied on his courage and guile to make up for his lack of technique. Novy Kapadia recalls Jarnail as being “ferocious” and “intimidating”. Over the years, Indian players have often been accused of being scared while playing high profile opponents – Jarnail was a glaring exception to this rule. He hated losing out on even an inch of space on the field – he didn’t fear reputations or past records. Irrespective of their fame, players from opponent teams were always subjected to Jarnail’s fearsome tackles. 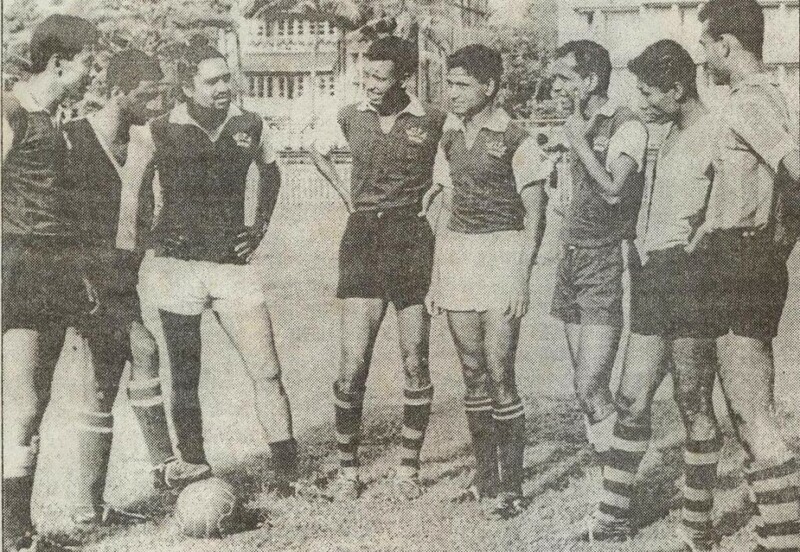 In 1961 Merdeka Cup, India faced Malaysia, a team which had Abdul Gani in their ranks. Known as “Asian Puscas”, Gani nutmegged Jarnail twice in first few minutes. Jarnail reacted by landing a solid kick on Gani’s face – in a follow through after clearing a high ball. Gani was rattled and remained ineffective for rest of the match. In 1960 Rome Olympics, India faced Hungary in a group league match. Jarnail was given the task to contain Florian Albert, one of the most elegant players of his generation and top scorer in 1962 World Cup. Jarnail performed his job admirably again – preventing Albert from touching the ball for long periods. Only once did Albert escape his marker and he obliged by scoring a goal. The performance in Asian Games in 1962 remains a high point of his career. Before the semi-final, Jarnail suffered a deep cut in his head and received six stitches. Rahim saab understood that it would be risky to play him as a stopper back so he made a bold and unconventional decision. He knew that Jarnail had started his career as a centre-forward so he pushed him to play upfront. This move worked like magic as Jarnail instantly linked with Chuni, PK and Balram. Jarnail scored a headed goal in the final despite having six stitches on his head. He was the embodiment of lion hearted spirit. One of Jarnail’s many memorable performances in the Kolkata derby came in 1968 when he was in the wee end of his career. The occasion was centenary celebration of Amrita Bazar Patrika – one of the oldest newspapers in Asia. Mohun Bagan faced East Bengal in a must win match. Mohun Bagan took the lead after Jarnail slipped a through-ball to Arunmaynaigam, who almost beat Thangaraj from a narrow angle. Kannan tapped in the loose ball after Thangaraj had made a sharp save. East Bengal laid a siege on Mohun Bagan goal in the second half. Jarnail stood like the great rock of Gibraltar, repelling one attack after another. Towards the end, East Bengal strikers finally managed to beat Prodyut Burman in the Mohun Bagan goal but couldn’t get past Jarnail who thumped the ball away from the goal-line. Kannan latched on to the ball and scored a wonderful solo goal to earn a 2-0 victory. Jarnail’s fame in 60s was incomparable. In a poll organized by Indian Express in 1963, he was elected as the most popular sports person in India. House-full boards would be kicked down in cinema-halls to accommodate him. He was also selected as the captain of Asian All Star team in 1966 – a unique feat for an Indian player. He played a major role in making Punjab one of the forces in Indian football. With him as a captain, Punjab won its first Santosh Trophy in 1970. Four years later with him as the coach, Punjab steamrolled every other team in the Santosh Trophy. Inder Singh was in rampaging form, scoring a record twenty-three goals as Punjab raked up forty-six goals in the tournament. Punjab thrashed Bengal, a traditional powerhouse with a 6-0 scoreline in the final. Jarnail’s immense popularity and legendary status made him one of the select few Indian football players who enjoyed a star status even after leaving the game. Jarnail was bestowed with the Arjuna Award in 1964. He was elected as the Deputy Director of Sports for Punjab between 1985 and 1990 and the Director between 1990 and 1994. He was loved and respected by players from later generations. When Mohun Bagan reached Ludhiana to play in a National Football League match in 2000, coach Subrata Bhattacharya informed the players that Jarnail was present in the ground. Players rushed to collect autographs and get introduced to the Mohun Bagan legend. People in Jarnail’s village Panam still talk of him fondly– his room is adorned with dozens of silverware that he received during his playing days. Indian National team defender Mahesh Gawli visited Panam in 2007 and paid his respects to the great defender. Unfortunately, Jarnail endured a lot of personal tragedy. His son Jagmohan was tipped to follow his fathers footsteps as he shot to limelight in the late 80s. His performance for Indian team in Lahore SAFF games garnered praise from the likes of PK and Arun Ghosh. Sadly, Jagmohan committed suicide due to family problems in 1996 – he was thirty-one years old. Loss of his son had a crushing psychological effect on the indomitable Sikh. On October 14th, 2000 Jarnail Singh breathed his last when he was visiting his son in Vancouver, Canada. A multitude of football personalities paid their homage to one of the greatest and bravest players of Indian football. Current Indian football needs more players who have the mental strength of Jarnail Singh – only then can we shake off decades of inferiority complex. Sources: “Stories from Indian Football” by Jaydeep Basu, articles by Novy Kapadia, Boria Mazumdar and several ex-footballers. Articles from “Khela” magazine.